I'm relatively new to posting on the forum (rarely post due to work/family/unsociable lifestyle etc). 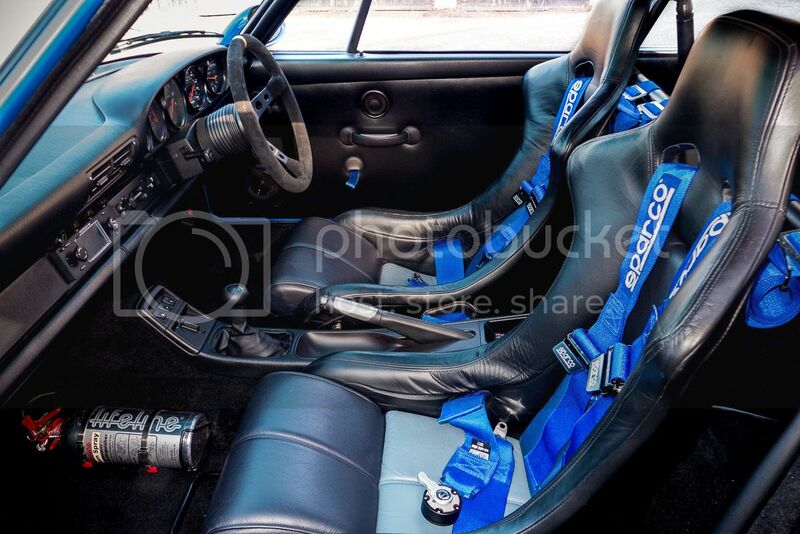 I’m not really the best at write-ups but hope to share my experience of a 964 RS Build that will be going on through 2016/17. The project commenced a few months ago and the inspiration for the project came from a 964RS Rep that was being sold at JZM a few years ago. Unfortunately I didn’t have the readies at the time and the car subsequently sold soon afterwards. I only discovered later on it was purchased by a forum member (Jaap) and documented on numerous posts. Stating the obvious but, superb choice I'm a big fan of Jasmine's work, as are my local Porsche specialist and various other seasoned 911 nuts. 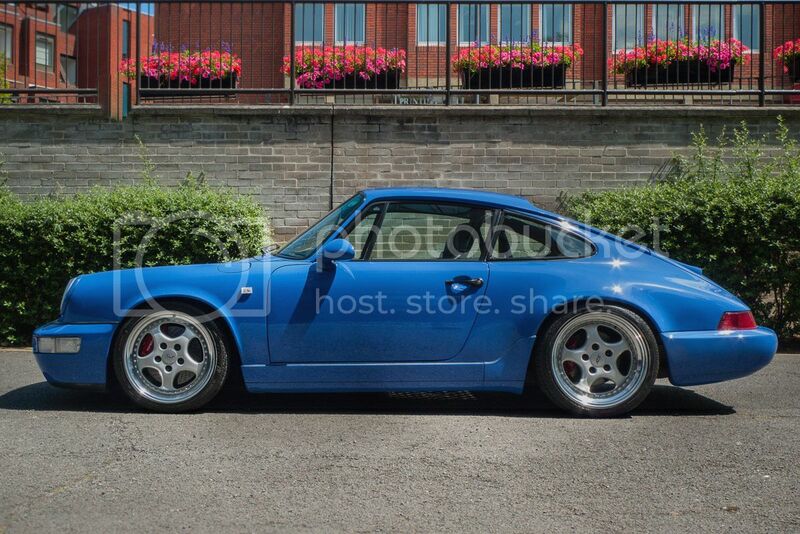 I wasn't around for the build with Jasmine so I will be reading with great interest - is this their fifth 964RS now? Looking forward to seeing the car , Jaaps car is exquisite , good luck with the project . I believe it is the fifth one Jaap. I am only familiar with the Martime Blue and Peppermint Green ones as both were sold through my local - JZM. I failed to find a suitable C2 donor car with prices creeping up at a staggering rate. After looking at a few Cat D's and a few C4's i settled on one off the Autotrader (of all places!) for around 25k. Yes it was a bit of a dog and far from mint... Rust in the usual places, lots of failed MOT's, 26 owners over 25 years, 170K on the clock but 2 binders full of receipts! Will put up some pics tonight when i get home! So, any thoughts on spec, colour etc? Posted: Wed Nov 16, 2016 3:13 pm Post subject: C4 + C2 = C4C2RS? My approach has been to gather as many different views as possible from others who have more knowledge than myself. Brian from Jasmine has been wealth of knowledge. Similarly Colin from 9M also offered me his views on the build, as did Rob & Russ from my local at JZM. One thing that was certain from the outset from everyone i spoke with was that rear wheel drive was the way to go! . Initially I couldn't get my head round why there is no love for the C4. I spent an hour debating with Rob the pro's & con's of keeping the C4 system over the C2. Russ's view was simple, sell the C4 and source a C2. Eitherway - if i bit the bullet, it was gonna start inflating my very limited budget. As for colours, i'm open to suggestions....? Posted: Wed Nov 16, 2016 3:16 pm Post subject: Re: C4 + C2 = C4C2RS? What sort of money does it cost to build a car of this quality ? I can't imagine it saves that much on buying a genuine one if done to a high quality. A few images from this summer. The next step involves rust treatment and welding on various areas of the chassis, subframe and arches. I came very close buying Jaap's car from JZM (it's very local as I'm in St.Albans), hindsight is a great thing. Did you consider buying a tip 964 C2 coupe an converting it? Maritime Blue is a personal favourite, but Viper Green would look fantastic. I tried, however the C2 prices were already gaining momentum in spring. C4's were about 10 large less... In hindsight i would have preferred the C2 but couldn't find any within my budget. I took an high mileage 993 and turned it into the car I've always wanted. It took 4 years all in and I'm still tweaking. It is so worth the end result though! I shall watch with interest! That is one perfect 964. Black on Black with Gold BBS alloys would be my choice. Exactly the same as their first project 5 or 6 years ago. Brian normally uses John & Danny at Unit11 in Warrington for any engine work. Posted: Fri Nov 18, 2016 2:09 pm Post subject: Gold BBS's cost how much? Jeez, they are bit pricey... Any recommendations where i could find some for a fair price..? All great colours. My first 3.2 Carrera was Zermatt silver it's probably the nicest 911 silver. To badge or de badge... that is the question..? Probably a topic that has been discussed to death. Jaap has the Carrera RS badge at the rear but general concensus from this forum as well as others is to leave it blank, 911, Carrera 4RS, or Carrera. Technically mine will be a C4, with a C2 box and RS spec... personally I like the Carrera RS badge. Thoughts / suggestion?